Looking for more local spots in Paris? Make sure you get yourself a copy of our 2019 INSIDR Free Paris Travel Guides! Ever wonder where to buy a decent French wine without going bankrupt? Is it hard to muster up the courage to enter a French wine store in Paris knowing that you don’t say a word of French? Forget about the handy wines you can get at ordinary supermarkets, you deserve much better! Here’s our guide to the best French wine shop Paris has to offer! What is great about this wine shop is that they provide more than 4,000 labels on French wine selection ranging from less than 10€ to over 20,000€. Their underground cave also stores international wines from both the New and the Old World. Just 2 minutes away from the Madeleine Church, the multilingual wine-sellers in Lavinia are so equipped with wine knowledge! Whether you’re a wine expert or beginner, you’ll be able to find the best suggestion and discussion with them! Another cave where you can find a wide selection on French wines from Burgundy, the Loire Valley or even Beaujolais is Legrand. Located in the charming Galerie Vivienne, this is definitely a hidden gem behind those fairy lights! The wooden counters and the delicately arranged tiled floors remind you the nostalgic good old Paris! There’s also delicatessen, bar & restaurant attached: why don’t you have a pick in their wine paradise and open up the bottle straight away? This wine shop is famous for its friendly and passionate staff who are ready to give you the best tips they’ve got for choosing your French wine. A great variety carefully selected from local producers to Grand Cru in Bordeaux, Bourgogne, Côte du Rhone or Longuedoc-Roussillon…They surely knows l’art de vivre à la française! 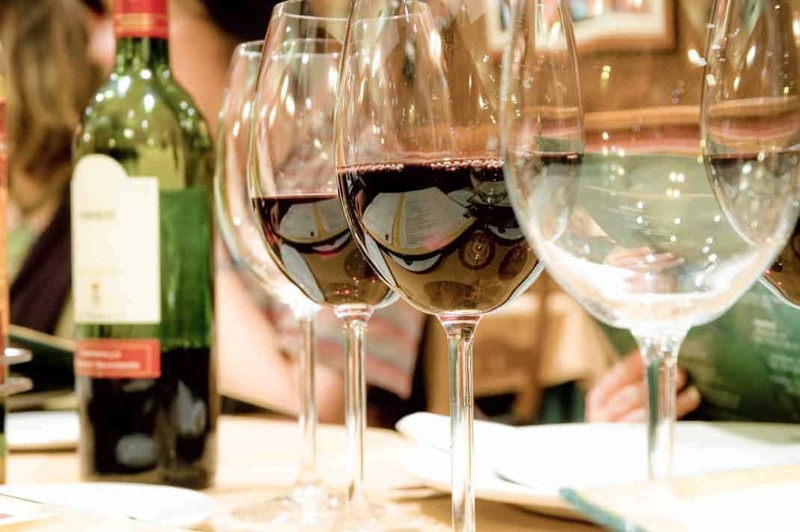 There are tasting sessions every Saturday, if you would love to get together with other curious wine lovers to know more about this sacred beverage. Otherwise, grab a bottle and go picnic at the Jardin de Luxembourg next door! Bordeaux wine is definitely the most classic among all French productions. At La Bordeauxthèque in Galerie Lafayette, there are 7 hospitable vendor-sommeliers who speak English, Chinese, Spanish, Portuguese and French, and are ready to help you with personalised advice on buying Bordeaux wines. Ranging from renowned Grand Cru to smaller vignerons, it offers you a delicate collection of over 1,000 labels exclusively from the Bordeaux region. Let’s shop here and add to your wine collection (or to bring home as a great souvenir)! This showroom of biodynamic Fleury champagne is surely a place to be for getting your bubbly! Over 40 vintages for you to pick from, you can also discover wines from less mainstream French regions such as Alsace, Jura, Savoie, Corse. A cute lovely place to do your wine shopping as well as spending time over a glass of champagne! If you’re going organic in your everyday life and don’t want to change this habit even on wine consumption, this is the place for you. Presented as a « restaurant bio », L’épidon excels of course in their artisanal homemade French cuisine! You’ll also be surprised by their excellent choice in small producers wine coming from different French regions! If you love the wine, don’t forget to purchase a bottle to bring home with at the end of your lovely dessert! Founded by a group of young and driven wine experts/ lovers in 2006, our friends Les Caves Nysa today boast 23 boutiques all over Paris (there must be one around the corner from you!). Their core value is to offer good quality wines (for all budgets) to people who share their same passion. Plus, their friendly and knowledgeable staff are also more than happy to give advice, whether it’s on food-pairing tips (such as which wine will best go with your favorite cheese), or on which wine would be best suited to your tastes. What’s more, Nysa often host open-to-all and free tasting sessions for wine lovers – a great way to sample some delicious wines. And if you make a purchase, don’t forget to show your INSIDR phone to get a 10% discount off your total bill.